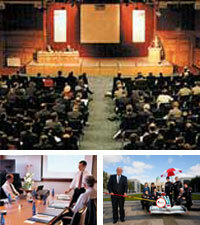 Gallagher & Associates are experts in Event Management. We organise and produce events in liaising with Designers, Production Companies, Display Contractors and Venue Managers. This expertise combined with our marketing communication skills ensures excellent results for our clients.